We started with a pretty straightforward online store. Responsive? Check. Easy shopping and payments? Check. Attractive layout? Check. Easy to navigate? Check. We deployed Elegant Themes’ Divi theme (really a design platform now) which is built for WooCommerce, a very popular WordPress e-commerce plugin. We deployed WooCommerce, too. Woo itself has a few plugins that help to facilitate payment, inventory management, product variations, and shipping, to name a few factors you need to consider if you are selling items online. Cullen is also big on Instagram, so we integrated Instagram posts right on the site with a plugin made for it. We also host the website and provide managed care for technical issues. 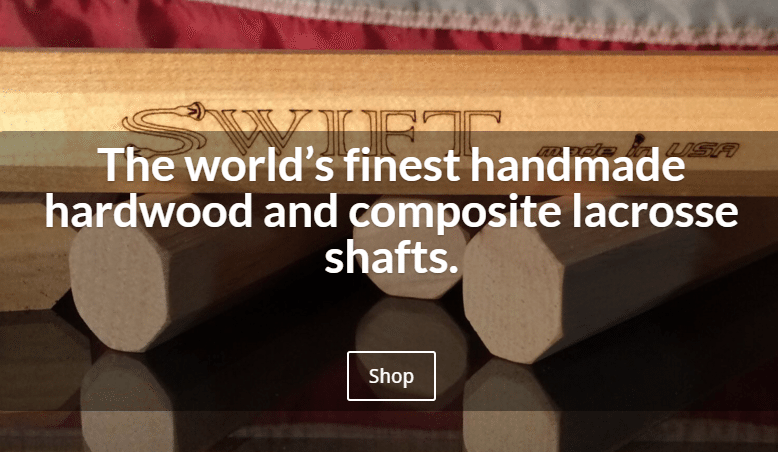 If you’re into lacrosse, visit Swift Lacrosse and buy your own custom-designed, cool wood stick! Made in the USA!